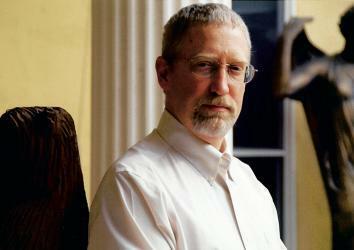 Alan Taylor’s American Revolutions, reviewed. Stop me if you’ve heard this before: After nearly a decade of war, Americans declare victory and pull back their forces. But the rollback is only followed by more carnage as innocent Americans are killed in unimaginably grisly ways. Meanwhile, an economic depression ensues, with only the wealthy and well-connected seeming to escape. A groundswell of populist anger erupts, and a new cadre of leaders emerges promising to fix a rigged system. Some of these political upstarts blame the grisly murder of Americans on soft, distant leaders; others blame the economic woes on the same political elites who seem more interested in keeping bankers happy than in relieving the pain of the poor. Yet even as these new leaders wrap themselves in the banner of patriotism, authentic defenders of liberty and equality, they hide the way their own interests are served by stoking the populist flames. That, in very broad strokes, is the story of the past 15 years, and it just so happens to be the story of the American Revolution, as told by the prize-winning historian Alan Taylor in American Revolutions: A Continental History, 1750-1804. Replace the Iraq war and ISIS with the Seven Years’ War and Pontiac’s Rebellion, the Great Recession with the economic depression of the late 1760s, and today’s populist outrage with the kind that fueled many Patriots, and the parallels between then and now are remarkable. Equating Donald Trump, or even Bernie Sanders, with any of the Founding Fathers may defy reason, but Taylor’s thesis invites a question that we would do well to ask ourselves about the transformative change being called for now: What if we get some kind of revolution, but rather than healing our internal divisions, it only serves to heighten and prolong them? As long ago as the Progressive era, historians argued that the Founding Fathers’ war against Britain was waged not for lofty democratic ideals but rather to suit their own material interests. In recent decades, academic historians have exposed the critical role women, blacks, and Native Americans played in the War of Independence, as well as the larger imperial struggles of which the Revolution was just a bit part. In American Revolutions Taylor synthesizes this more recent scholarship but astutely combines it with the Progressive-era argument about the way the Founding Fathers manipulated populist anger to their own ends. Written with remarkable clarity and finesse, this will be the gold standard by which all future histories of the period will be compared. So why, then, a war for independence? Taylor starts with the Pyrrhic victory that immediately precipitated it. 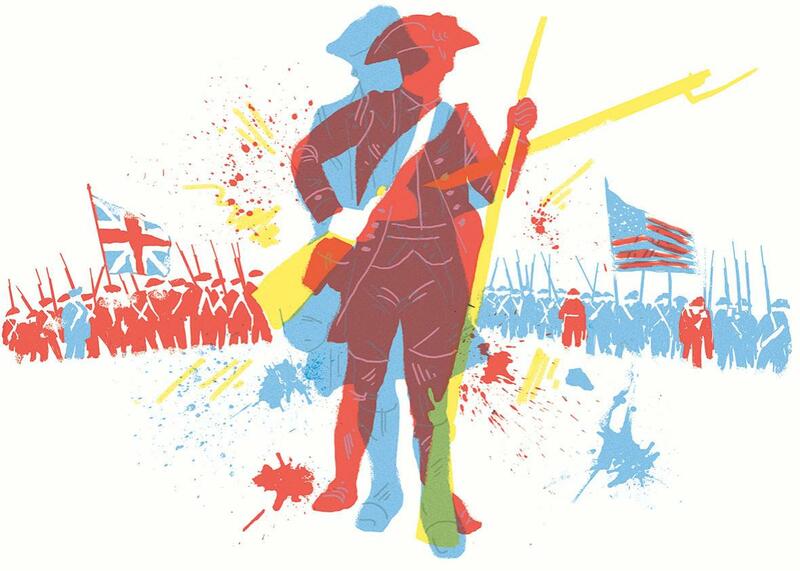 Britain’s defeat of the French in the Seven Years’ War—known as the French and Indian War in North America, which lasted from 1754 to 1763—turned out to be, in today’s Trumpian rhetoric, a total disaster. American colonists vanquished the French from modern-day Canada and the Great Lakes region, but British policymakers discouraged them from settling in the western lands they obtained. When poor farmers defied imperial orders and set up camp in the trans-Appalachian west anyway, some Native American tribes, justly irate, banded together under the leadership of a charismatic Ottawa chief, Pontiac. In spring of 1763, Pontiac’s followers raided a British fort near Detroit, which triggered a bloody set of reprisals. One December day in 1763, 57 drunken vigilantes broke into a church service of peaceful Christian Conestoga natives, tomahawking to death 20 men, women, and children. British policymakers in London “concluded that settlers, rather than Indians, posed the greatest threat to imperial peace.” In consequence, they drew a firm line in the sand—the Proclamation Line of 1763, running along the Appalachian Mountain chain, across which colonists could not venture. But it wasn’t the poor white settlers whose complaints stoked patriotic fervor: George Washington, a wealthy Virginia slaveholder and Seven Years’ War veteran, and Benjamin Franklin, an affluent publisher and slaveholder as well, had bought western land now deemed inaccessible. As speculators, they had no intention of moving west themselves; they simply wanted to flip the real estate, cashing in on the backs of poor settlers. Now, thanks to the crown, they couldn’t. Meanwhile, in port cities such as Boston and New York, artisans, laborers, and decommissioned soldiers bore the brunt of the new taxes Parliament imposed on the Colonies. But it was the better-off Colonial elite who came to their defense, “pos[ing] as Patriots to champion the rights of common people.” These wealthier elite controlled the cities’ printing presses and could quickly popularize the idea that Parliament had taxed the colonists without fair representation. Never mind that the increased taxes were the necessary result of the costly Seven Years’ War, or that they still amounted to only two-thirds of what mainland Britons paid. The affluent Patriot merchant John Hancock even encouraged a boycott against British goods while surreptitiously continuing to import those goods himself, hoping the boycott would destroy his competitors. When a pro-British newspaper called out Hancock’s hypocrisy, a Patriot mob nearly killed the publisher. Taylor perhaps spends too much time on the battlefield, but he gives a central role to women, blacks, and Native Americans in determining the war’s fate. The wives and daughters of Patriot soldiers took over the shops, farms, and slave plantations of those who left to fight. For the first time in their lives, white women became public participants in politics, organizing boycotts and participating in street protests. If Taylor portrays women as helping to save the Patriot cause, he suggests that black Americans nearly destroyed it. In 1775, blacks numbered half a million, making up 20 percent of the entire Colonial population. Ninety-nine percent of them were enslaved. Shrewdly, Virginia’s Loyalist governor, Lord Dunmore, offered freedom to any male slave who fought for the British, and by the war’s end between 30,000 and 40,000 slaves escaped to British lines. As Taylor emphasizes, the arming of slaves proved a turning point. Up until Dunmore’s Proclamation, Southerners were ambivalent about the Patriot cause. But after it, whites in the South felt Britain had rescinded one of their most cherished liberties: the liberty to own property. In the most literal sense, they fought for freedom to maintain someone else’s enslavement. But Taylor deserves unqualified praise for vividly capturing what the more mainstream Revolution was about. The contradictory impulses that triggered the Revolution were, he suggests, replayed in the making of the Constitution. The Framers, all of them wealthy elite men, realized that someone had to pay for the war against Britain. Someone also needed to pay for defense against potential enemies—the French, Spanish, their likely Native allies, and that always internal enemy: the enslaved. Only a powerful central government could achieve all that, so the Framers devised a federal constitution that took away some local autonomy from the states in order to achieve a stronger whole. But the compromises the Framers made revealed their true priorities. The federal government would gain control of the western land and negotiate treaties with Native leaders who, if they did not agree, would face the threat of force. Meanwhile, well-connected elites would, unofficially, get first dibs on the land, enabling them to sell it for profit to poor white citizens. Slavery would be allowed to continue, and women got nothing, save for being patronized by men who insisted that their patriotic duty was to raise virtuous male citizens. In the end, Taylor concludes, the Constitution accentuated and entrenched the social divisions that were brought to the fore during the Revolution itself. “Instead of offering a single, cohesive, and enduring plan,” Taylor writes, “the diverse founders generated contradictions that continue to divide Americans.” That is probably the best summation about the Revolution’s outcome that we will have for quite some time. But in this populist moment, one begs for something a little more lowbrow. You might just say that the Founding Fathers got off good, and everyone else got a raw deal. American Revolutions: A Continental History, 1750-1804 by Alan Taylor. W.W. Norton.